Gutter replacement may not be at the top of your home improvement to-do list, but it’s an investment well worth making if your current gutter system is in disrepair. Gutters play an important role in channeling rainwater away from the house, preventing water from eroding your landscaping or seeping into your home’s foundation, which could be costly to repair. If you’re in need of a new gutter system on your home in Nicholasville, Kentucky, turn to the experts at 31-W Insulation. We have been serving the home improvement needs of the Southeast since 1972 and are pleased to offer and install top-of-the-line seamless gutters for homeowners throughout the region. What’s more, your replacement gutter system will be covered by a 20-year manufacturer warranty, so you can have the peace of mind of knowing your investment is protected. 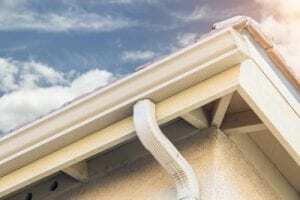 If you’d like to learn more about seamless gutters and the gutter replacement services we offer in and around Nicholasville, KY, contact 31-W Insulation today.